The manufacturing process within the textile industry is long and has many chemical treatments. The procedure includes the pretreatment, dyeing, printing, and refinement of fabrics. Pretreatment chemicals include a host of different surfactants with many designed for specific uses. Scours, wetting agents, and bleach aids are all used in the first step to prepare the textile substrate for the next step in manufacturing. Dyeing chemicals include solubilizers, compatibilizers, dispersants, and leveling agents. 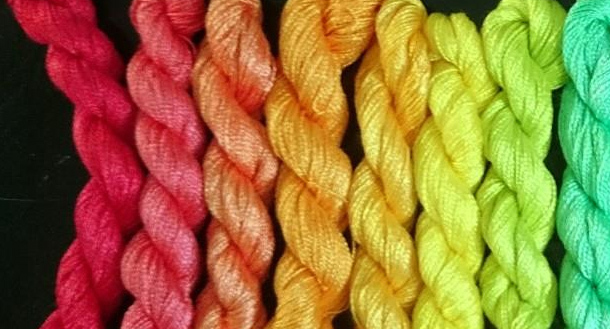 Dyeing chemicals are used for garments or drapery. Printing chemicals include leveling agents, thickeners, and binders. Finally, finishing chemicals such as softeners, lubricants, or other specialty chemicals may be added to entice the consumer to purchase. Ethox manufactures chemicals for many processes in the textile industry. If Ethox does not have the right chemical for the problem, we are well prepared to provide a solution with our experienced research and development team. Because there are so many different functions for chemicals within the industry, Ethox is uniquely positioned to be able to both provide specific formulations and to reduce the number of products required while maintaining a high degree of quality.